The calls across Australia were loud and unanimous. The fact that we missed out on an Aldi wine advent calendar last year meant the desire for one this year was even stronger. So Australians did what we do best, banding together to make a noise Aldi could not ignore. 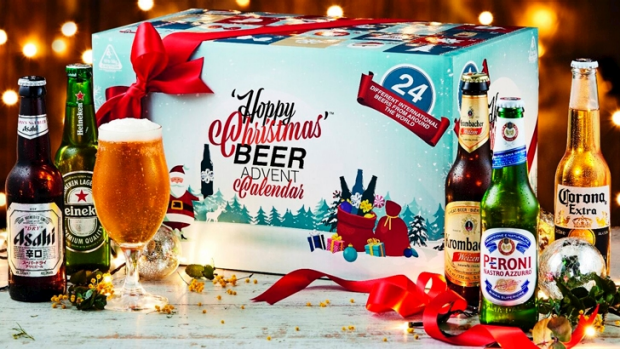 And here, our friends, are the fruits of our labour - Aldi wine and beer advent calendars will be here on November 14. This year it will be tears of joy rather than disbelief and frustration, as Australians are finally given access to these festive season treats that US and UK Aldi customers have been enjoying for years. Being the outcasts of the Aldi universe is all in the past, having stepped up in our own right to claim the festive privilege of an adult advent of our own. We were no longer content just to watch our kids enjoy the daily ritual of the advent calendar. Now, after the kids are in bed, we can delight in our very own. We spoke up and Aldi delivered. In all solemnity and reverence, thank you Aldi. The wine advent calendars will retail for $79.99 and the beer advent calendars will be $59.99. You can also find out which wines are included on the website, however that information won't be live until November 14.